The new company hopes to improve businesses' digital transformation efforts. 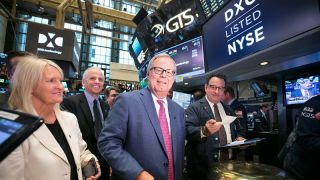 The merger of CSC and the Enterprise Services business of Hewlett Packard Enterprise has created DXC Technology, a new organisation that has officially started trading on the New York Stock Exchange as of this morning. Trading under the symbol DXC, the new company is announcing its inception as ‘the world’s leading independent, end-to-end IT services company’. According to the company’s freshly-released press release, it has established a ‘differentiated operating model’, allowing it to deliver a seamless client experience. It creates roughly $25 billion in annual revenues, from almost 6,000 enterprise and public sector clients in 70 different countries. DXC also has 170,000 employees worldwide, and will operate in six regions: Americas; United Kingdom & Ireland, which includes Israel; North & Central Europe; Southern Europe; Asia, Middle East & Africa; and Australia and New Zealand.